It’s been 52 days since we have gone online – with our new shop and everything new that comes with it: the look, the features, the products. Since then we were very lucky to pick many of your orders and send out our parcels with a whole lot of love and sparkle. During the last 52 days of new, so much was going on, Swarovski released their Innovations for spring/summer 2017 with its theme of The Balance of Nature and we added the brand new Crystal Pixie by Swarovski to our range. It’s just gorgeous for nail designs with bling-bling. We’ll show you a lot more of our cute, cool and ever sparkling themes again and again. A lot of things are going to happen. We promise. 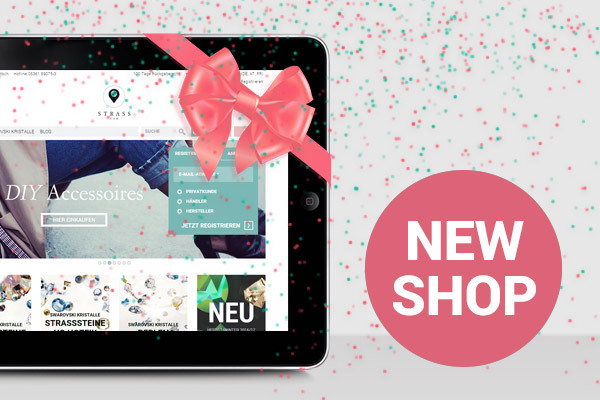 Seit 52 Tagen ist er online – unser Shop mit ganz viel neu: Look, Features, Produkte. Seit dem durften wir viele Bestellungen entgegen nehmen und mit ganz viel Liebe und Funkeln zu Euch senden. In den letzten 52 Tagen voller neu ist ganz viel passiert, Swarovski hat seine Innovations Spring/Summer 2017 unter dem Thema The Balance of Nature gelauncht und wir haben außerdem die Crystal Pixies von Swarovski in unser Sortiment aufgenommen. Fabelhaft für Naildesigns mit Bling-Bling. Immer wieder werden wir Euch süße, coole und immer funkelnde Themenwelten zeigen. Es wird noch ganz viel passieren. Versprochen.